Here then is our guide to this most singular of stately homes. The story of Longleat begins in the 16th century – long before the safari, the hedge maze and the 7th Marquis with his seventy ‘wifelets’ (we’ll get to that) – with the son of a farmer named John Thynne. Thynne rose rapidly through the social ranks during the reign of Henry VIII to become a trusted steward of Edward Seymour, Lord Protector of England and the Duke of Somerset. Somerset rewarded Thynne with a knighthood for his service and loyalty on the battlefield of Pinkie in 1547. The design of Longleat is Thynne’s very own. Perhaps it was the freedom of designing a house without the advice of an architect that allowed Thynne to create an English country house like no other. Longleat was created in the Italianate or Classical Renaissance style and was ground-breaking in its time. Instead of creating a central courtyard with rooms looking inward, Thynne designed a giant cube of a house with all the major rooms facing outward to give views of the surrounding park. Thynne must have known that he had reached the uppermost echelons of English society and that his home was something of a masterpiece when Queen Elizabeth I chose it as one of the stops on her great summer progress of 1575. At that time, the house was only two storeys high but soon grew to three. Three is the magic number and the façade at Longleat incorporated all three classical ‘orders’ or styles of column in its design: Doric, Ionic and Corinthian. Today, the exterior of Longleat House is almost exactly as it was in the 16th century. In contrast, the interiors were massively altered in the 19th century and only the great hall survives as testament to the first John Thynne’s elegant taste. In the early 1800s Sir Jeffrey Wyatville was hired to give the interiors of Longleat a new lease of life, a task that was later continued by J.D. Crace in the 1870s. The collection at Longleat, amassed by 15 generations of the Thynne family, features several stunning paintings. A series of hunting scenes painted in the 1730s by John Wooten dominate the cavernous great hall, while paintings by the likes of Titian can be seen hanging elsewhere in the house’s 130 rooms. Longleat is also home to exquisite tapestries, beautiful examples of hand-painted Chinese wallpaper and a rare collection of large Meissen porcelain. Longleat is famous too for its libraries. The first John Thynne began the family tradition of collecting books and manuscripts and created the first library at Longleat in 1577. Today, Longleat is home to eight libraries in total, including the unique Bishop Ken’s library which runs along the third floor of the entire east front of the house. Bishop Ken of Bath was a friend of the then Lord Weymouth and lived in exile at Longleat from 1691 until his death. The Bishop had been expelled from the church for refusing to swear an oath of allegiance to King William and Queen Mary. Elizabeth I was not the only reigning monarch to spend the night under the roof of Longleat House. In 1663 King Charles and Queen Catherine felt secure enough on their throne to leave their home and visit the second John Thynne at Longleat in 1663, just two years after the Restoration. In thanks, Charles II granted the Thynne family the title Lord Weymouth, a title descendents of the first John Thynne hold to this day. Which brings us nicely to Longleat in the 20th and 21st centuries. In the years following the First World War traditional English country houses, especially those of the Ducal variety, became something of an elephant in the room. Times had changed and the country house, as a symbol of privilege, wealth and power, seemed to have no place in the brave new world. By the time the Second World War had come to an end most of the country houses in England were either badly damaged by bombings or dilapidated, having been used as hospitals and barracks for the last five years. The post-war years were hard on everyone, the wealthy included, and few could afford the mounting tax bills and costly repairs needed to keep their ancestral piles inhabitable. It was in this context that Henry Thynne, 6th Marquess of Bath took the unheard of step of opening up his stately home to the public. Amidst a blaze of publicity, Longleat became the first country house to transform itself into a lucrative tourist destination. Soon, a wave of other struggling aristocrats followed suit. By the mid 1960s, however, the lure of touring Longleat House to catch a glimpse of how the other half lived had begun to wear off. Financial difficulties again threatened the Marquess of Bath’s estate and in an attempt to secure Longleat’s future for the long term he took a bold step. In 1966, the 6th Marquess opened a safari park on the grounds of Longleat, the only such park outside Africa. Longleat soon became synonymous with the lions that roam its grounds and today there are over 500 animals living in the park. Longleat is almost as famous for the private life of the 7th Marquess of Bath, Alexander Thynn, as it is for its roaming lions. Alexander took over the marquessate from his father in 1992, by which time he was already notorious for his eccentric and polygamous lifestyle. As soon as he had the keys to the castle, Alexander set about redecorating the residential parts of Longleat House with his own painted murals. One such mural depicts portions of the karma sutra while others include portraits of Alexander’s seventy ‘wifelets’, many of whom live in cottages on the Longleat Estate. Alexander is also a great lover of mazes and was responsible for installing the incredible Longleat Hedge Maze in 1975. The longest maze in the world, the hedge maze was later accompanied by the smaller Lunar Labyrinth, Sun Maze, Love Labyrinth and King Arthur’s Maze. In 2010, Alexander passed the marquessate and the management of the Longleat business to his son Caewlin. Less than approving of his father’s lifestyle and taste in art, the 8th Marquess caused a well-publicised family rift when he removed some of his father’s murals from Longleat’s living quarters. His father retaliated by refusing to attend his wedding. Today, the current Lord and Lady Weymouth and their two children continue to open their home to visitors every day of the week. 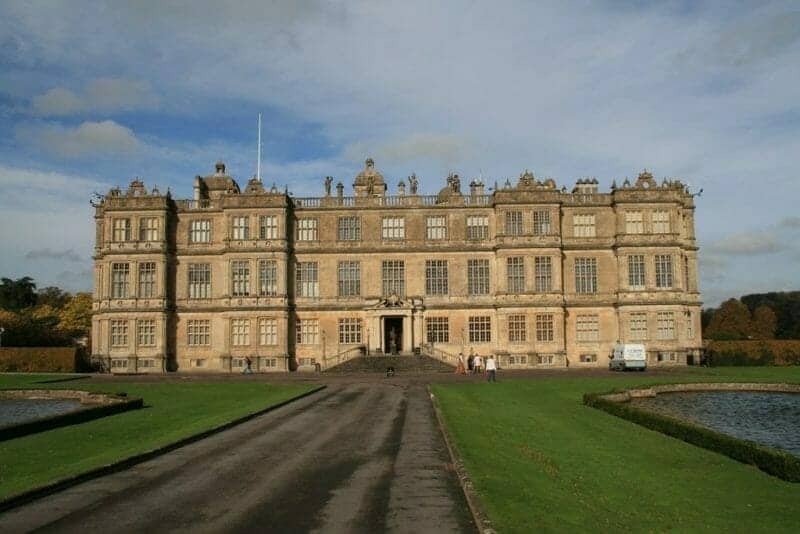 The safari park at Longleat is a major family attraction that draws in visitors from all over the world, but it is Longleat House itself, an Italianate mansion built by the son of a farmer and visited by Queen Elizabeth I, that is truly extraordinary.